Water makes up something like 60% of the surface of the planet. It's colorless and tasteless but essential for all living things. It's the truly the 'bread' of life. Much of the time though, most of us don't give water much thought. 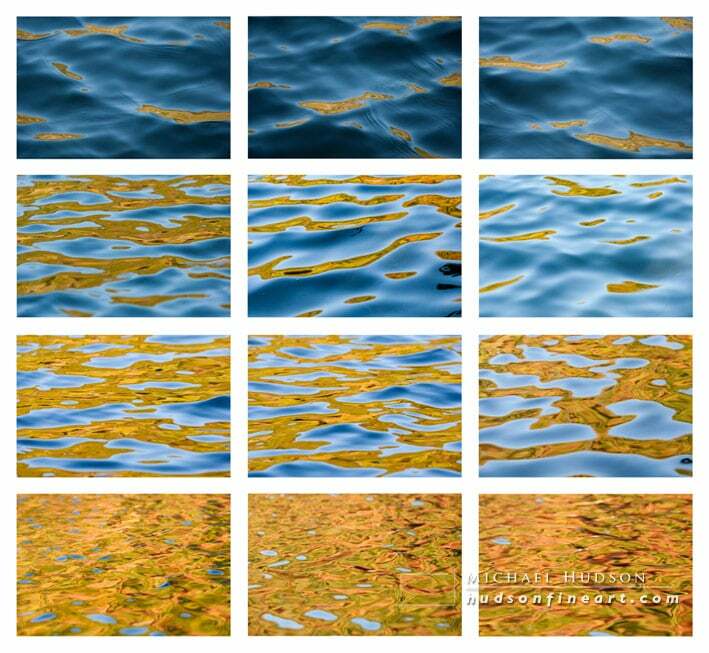 But as an artist, I love the way it reflects its surroundings, the colors it takes on, and the randomness of the patterns, ripples and micro-bubbles in water. I like the way that a wave crashing against the rocks can shatter into a million droplets, only to slip back into the ocean and repeat the process a minute later. A photograph can freeze that moment in time, with all the power and fury of the ocean made still in a single image. 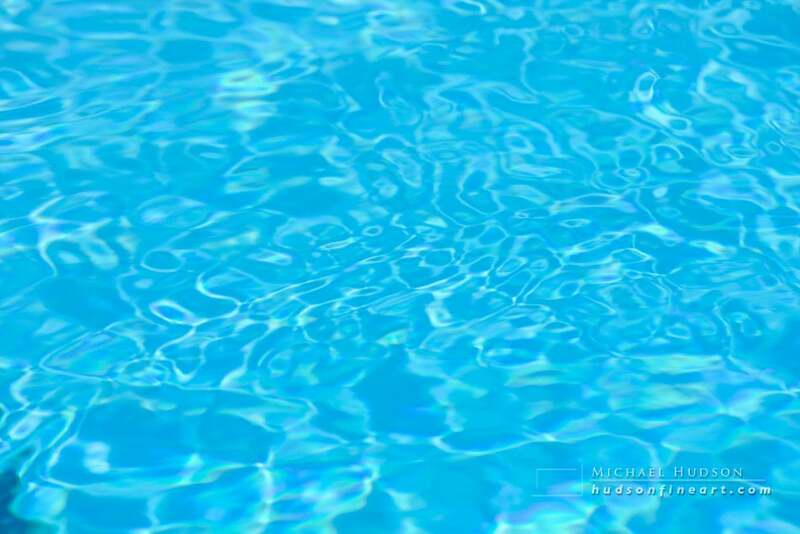 But it can also bring on that summer-by-the-pool relaxed feeling, just watching the ripples in the water. Colorless and transparent it might be, but it has the power to evoke peace and tranquility, or a yearning for someplace else.